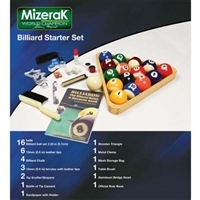 The Minnesota Fats Liquid Light-up series features a floating 8 & 9 ball floating in light-up liquid that actually lights when the cue contacts the ball. cut. The joint provides the maximum feel and the most solid hit you can get. impression using a ultra high luster urethan coating ensuring a lasting finish. maximum feedback and unbelievable power. 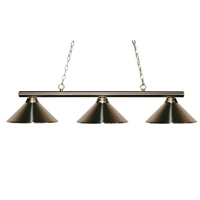 Just right for illuminating your upscale home bar or island, this Z-Lite Chance Angle Billiard Light has a classically curved frame in a rich bronze finish. Its angled glass shades come in select color options. Bulbs not included. About Z-Lite This superior lighting product is designed by Z-Lite, a leader in home lighting. Handcrafted and expertly designed, Z-Lite lamps and lighting are unique works of art. Slight variations in color exist. Look to Z-Lite for a wide assortment of stylish, ambient lighting for your home. Dimensions: 50L x 14W x 13.5H in.. Available in a variety of finishes. Angle Golden Mottle glass shade. 72 in. of chain and 110 in. of wire included. Requires three 100-watt medium base bulbs (not included). 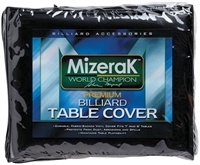 Home Vs. Away Pool 8-Ball Set brings the game to your pool table. 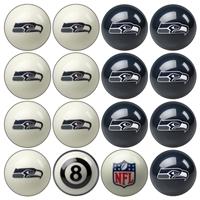 All team logos and colors are precisely reproduced onto each Belgian Aramith Billiard Ball. Belgin Aramith balls are considered the finest in the industry and have been the BCA's billiard ball sets of choice for decades. Makes a unique gift for the fan in your life. Features true Belgian Aramith 2 1/4 tournament quality billiard balls (finest in industry); 7 balls designed in primary team colors with team logo; 7 balls deigned in secondary team colors with team logo; traditional white cue ball is updated with an MLB logo; 8-ball displays referee-style stripes and digitally reproduced team graphics to reduce fading or cracking. Customize the Z-Lite Sharp Shooter Billiard Light by choosing its finish and shade. This sleek billiard light is perfect for your space. Bulbs not included. About Z-Lite This superior lighting product is designed by Z-Lite, a leader in home lighting. Handcrafted and expertly designed, Z-Lite lamps and lighting are unique works of art. Slight variations in color exist. Look to Z-Lite for a wide assortment of stylish, ambient lighting for your home. Dimensions: 48L x 14W x 10H in.. Available in a variety of finishes. Brushed Nickel metal shade. 36 in. of chain and 41 in. of wire included. Requires three 100-watt medium base bulbs (not included). Dimensions: 57L x 14W x 15H in. A trio of matte opal glass dome shades gives the Z-Lite Riviera 200-3-DMO14 Billiard Light its contemporary grace. Hardware finish options make it brilliant for lighting up your breakfast island or pool table. Bulbs not included. About Z-Lite This superior lighting product is designed by Z-Lite, a leader in home lighting. Handcrafted and expertly designed, Z-Lite lamps and lighting are unique works of art. Slight variations in color exist. Look to Z-Lite for a wide assortment of stylish, ambient lighting for your home. Dimensions: 57L x 14W x 15H in.. 72 in. of chain and 110 in. of wire included.